What fan hasn’t dreamed of owning and running an NHL® team? 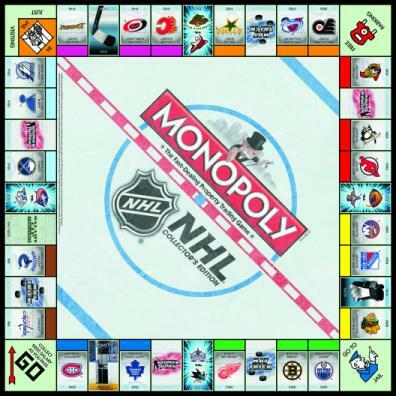 Now you can buy, sell and trade all 30 NHL® teams in a quest to own them all! 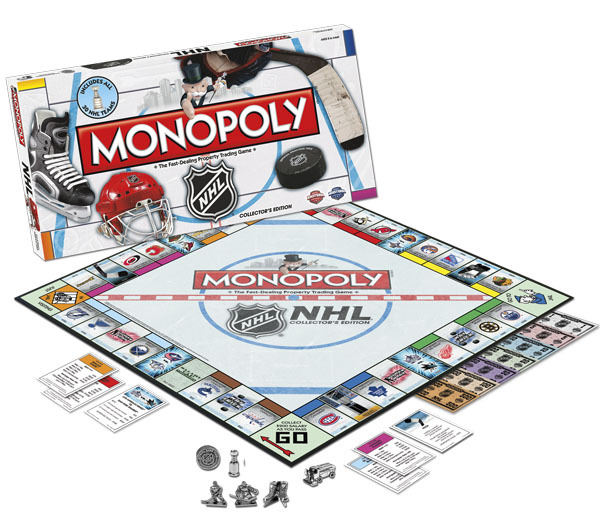 The National Hockey League and the MONOPOLY game have teamed up to put an exciting new spin on America’s favorite board game. Toronto Maple Leafs, Boston Bruins, Los Angeles Kings – they are all up for grabs. Put on your game face and get ready to wheel and deal! 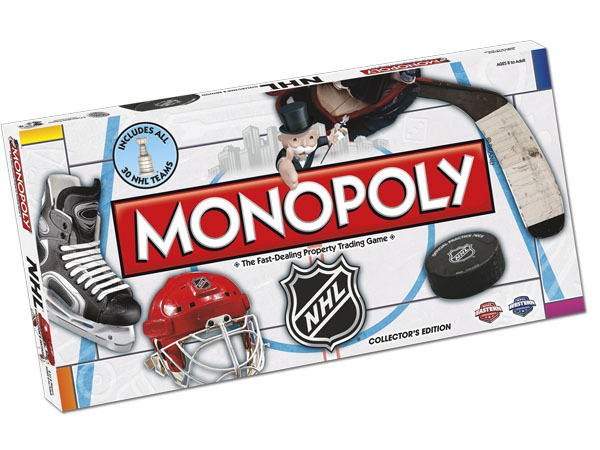 Game comes complete with six custom tokens: hockey puck, Zamboni® Machine, skates, forward, goalie and Stanley Cup® Trophy. ©2011 NHL. ZAMBONI and the configuration of the Zamboni® ice resurfacing machine are registered trademarks of Frank J. Zamboni & Co., Inc.